Visualize the difference with the Versa N25 Mid Tower Chassis for ideal performance and presentation. 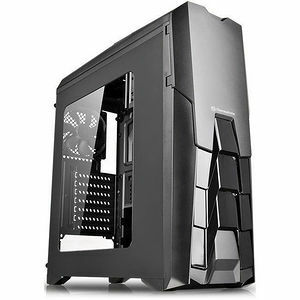 Designed with transparent top and front panel sections, see the difference in cooling presentation fit for gamers. With a flush matte black sections on front and top panel sections, avoid fingerprints and gain a streamlined look with a easy to access I/O Panel. Combine extended GPU fitment, up to 360mm, for high-end GPU performance without losing storage options. With optimized ventilation top to bottom, the Versa N25 is a great choice, at the right price.